locations in history? I think, it is the “sea”. It is the “Bosphorus”.. I wonder, in a city, deserted by its own people along with its unprotected sea, which creatures still live in the Bosphorus? Thousands of photographers made Istanbul and the Bosphorus timeless with their photos. 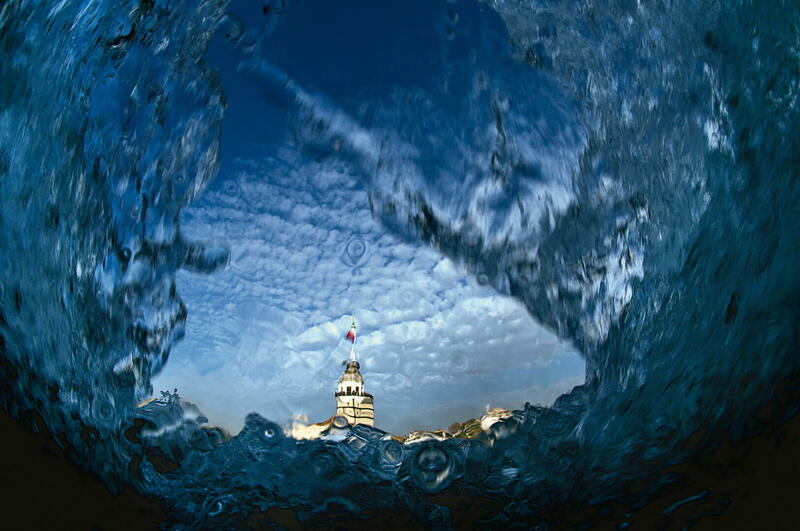 As an underwater photographer, I tried to look at the Bosphorus from a different perspective. I wanted to share with you the beauty of the city I fell in love with, the waters of it that I love. Maybe this time there is no corals, large fish and spongers in my pictures, but there is a city that lives with its sea, architecture, culture and customs.